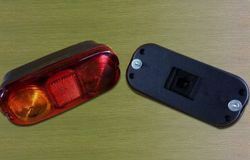 Our range of Rear Lamps assure better visibility thus making driving at night safer. These products are known for its high tensile, durability, reliability & long service life. Offer these products in various sizes & models as per clients requirements. Backed by our vast industrial experience, we are offering an exceptional collection of Rear Combination Tail Lamp to our clients. Add a touch of luxury to the rear lamp with the chrome garnish. - Varroc offers customers the flexibility of implementing Rear Combination Lamps using either traditional signal bulbs or Light Emitting Diode (LED) sources. 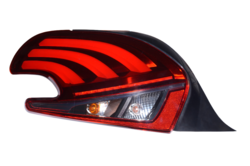 Varroc offers customers the flexibility of implementing Rear Combination Lamps using either traditional signal bulbs or Light Emitting Diode (LED) sources.